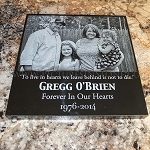 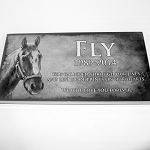 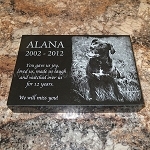 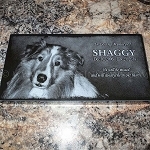 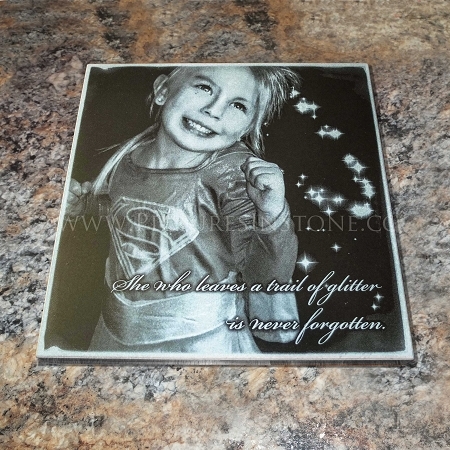 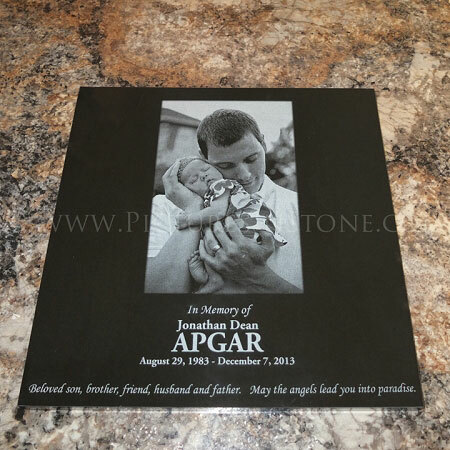 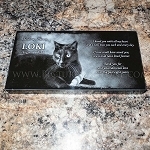 Solid black granite memorial stone measures 16 x 16 x 1 inch thick and will be laser engraved with your photo and any text that you desire. 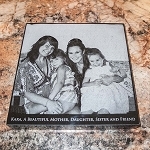 Upload your photo and text below. 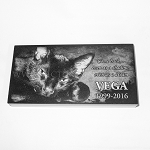 We will email you a proof for your approval before engraving. 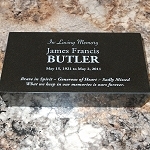 This stone weighs 31 pounds.